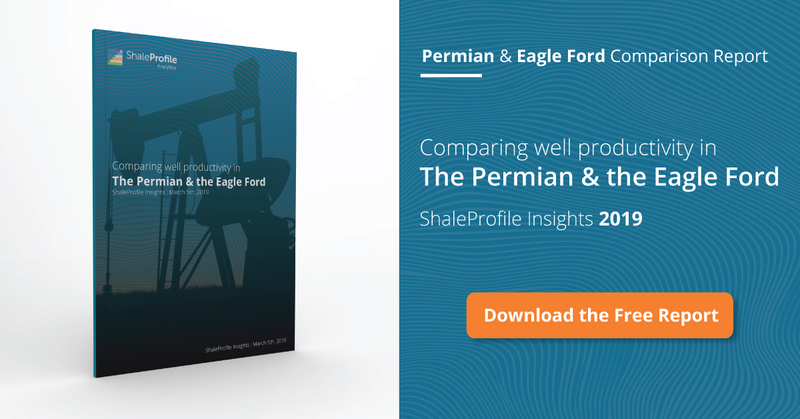 This interactive presentation contains the latest oil & gas production data through January 2018 from 20,465 horizontal wells in the Eagle Ford region (TRRC districts 1-4), that started producing since 2010. With more production data for the end of last year made available by the Texas RRC, we can now see that oil production from these horizontal wells grew by ~10% year over year. Given this typical revision pattern for Texas, I expect that we’ll eventually also see February production significantly higher than shown in the above graph, to close to 1.3 million barrels of oil per day. A combination of higher drilling and completion activity, and better initial well performance, is causing growth in this basin; based on preliminary data 1,725 wells started producing in 2017, vs 1,500 in 2016. And as the ‘Well quality’ overview shows, these newer wells peaked at a rate of 686 bo/d in their first full calendar month (month 2), versus 535 bo/d for the year before, a 28% increase. Ignoring the last 2 incomplete months, we can see in the final tab (‘Top operators’) that EOG and Chesapeake, the 2 leading oil operators, are back to their previous output records. The wells that started in Q4 2017 had clearly the best start ever, recovering 56 thousand barrels of oil in the first 3 calendar months. Part of this may have been a shift from gas to oil wells, as their gas output is a little lower (change ‘Product’ to gas to see this). Firstly as a “long-time listener, first-time caller”, just wanted to say what a fantastic site this is and thanks for all of the work you do! I noticed the significant drop in DUC’s over the past six months and was wondering at what number you think that is going to level out? In some states, e.g. North Dakota, data is quite complete whenever it gets published by the state agency, and very few revisions occur. Unfortunately, for Texas this is not the case. Data for the last couple of months is very incomplete, especially related to wells that are being drilled/completed/just started to produce. You can see in the ‘Well status’ overview for example that after September very few wells were spud, which I belief is not the reality. It gives a good picture how incomplete data since that month is. Therefore, I also think the DUC count since then is unreliable. I hope to be able to do more on this front, e.g. by following the drilling permits more closely. But for the short term my focus is on working on the ShaleProfile Analytics portal, in which far more data & dashboards are available, and which just started an early test period. I hope to share more info on that by the end of this month! Thank you for your detailed response Enno, that’s very helpful!